The differences between recent American leaders, all truly mediocre, and Putin probably has something to do with the two counties’ relative situations over the last few decades. After all, if the support isn’t there for someone like Putin, you won’t get him. Putin is a man who advocates cooperation among states, who argues against exceptionalism, who wants his country to have peace so that it can grow and advance, a man lacking any frightening or tyrannical ideologies, a man who invariably refers to other countries abroad, even when they are being uncooperative, in respectful terms as “our partners,” a man who knows how to prioritize, as in defense spending, a man with a keen eye for talent who has some other exceptional people assisting him – men of the calibre of Lavrov or Shoygu, a man who supports worthy international organizations like the UN, a man who only reluctantly uses force but uses it effectively when required, a highly restrained man in almost everything he does, a man who loves his country and culture but does not try foisting them off on everyone else as we see almost continuously from American presidents, a man with a keen eye for developing trends and patterns in the world, a man with an eye, too, for the main chance, a man whose decisions are made calmly and in light of lot of understanding. That’s quite a list. Putin has been more cautious in the case of the secession of another Russian-speaking portion of Ukraine, an even larger one in population and in economic importance, the Eastern portion called Donbass. The people there declared two republics, Donetsk and Luhansk, and they petitioned to be admitted as part of Russia. But Russia does not officially recognize them although it has sent large volumes of aid as they were besieged by the new Ukrainian government. The government of Ukraine started a small civil war in the region. Russia supports the Minsk Accords, which it helped to write, accords to reunite the region with Ukraine but which require Ukraine to grant it a degree of constitutional autonomy to the region. This is a reasonable approach to ending the conflict, but it is not easy to implement. It is not something looked favorably upon by Ukraine’s right-wing extremists who push the government hard, having even threatened it at times. The entire business has been mired in difficulties from the start. Ukraine displayed remarkable military incompetence in this civil war against a much smaller opponent. It tried to increase the size of its forces with conscription in the West of Ukraine, but the number of no-shows and run-aways grew embarrassingly large. And, of course, none of this even needed to happen had the new government’s policies been sensible and fair in the first place. But you got no pressure from the United States over fairness. It is merely content to have caused a lot of difficulties on Russia’s border. And there is the matter of the shoot-down of Malaysian Airlines’ Flight MH-17, which my study of the circumstances suggests unequivocally was an act by Ukraine, whether accidental or deliberate. The United States has pushed hard to have this blamed on Russia, so as to not discredit its installed Ukrainian government, but the facts, as we know them, simply do not support that conclusion. The United States has shamefully pressured a NATO member, Holland, not even a central party to the event, to conduct a long and tortoise-paced investigation of the crash. It has ignored key evidence, and all of its interim conclusions can readily be seen as couched in the kind of suggestive but inexact language criminal lawyers advise their clients to use in court. What we see in Ukraine, is government incompetence, almost uniformly in all its activities, and again there is no concern expressed by the United States about all the difficulties – economic, military, and social - its efforts have caused for the Ukrainian people. 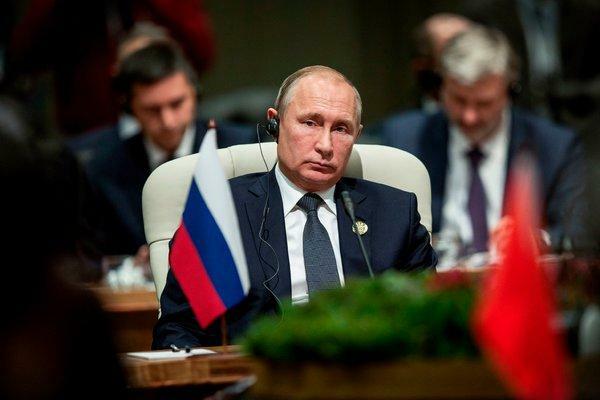 Putin’s adroit handling of the coup in Ukraine, frustrating many of America’s aims without getting Russia involved in conflict, determined Washington to further stoke-up anti-Russian feeling in Europe. You must always remember that NATO does represent a vehicle for the peaceful American occupation of Europe, Europe being an important economic competitor and potentially a major world power. The obsolescence of the original arguments for NATO - the threat of the USSR and the massive Red Army, now both long passed into history - had the potential to see America eventually lose its occupying perch in Europe. It is important to note that while Russia maintains excellent relations with Israel – Putin has been visited often by Israel’s Prime Minister - nevertheless, by virtue of its sheer size and geographical location and military power, Russia is seen as a barrier to America’s more unrestrained use of power. “Russia” is almost a dirty word for many of America’s Neocon faction and for many Israelis. Russia’s recent decisive assistance to Syria in fighting gangs of terrorists introduced and supported from outside was viewed about as negatively as is possible. That is war Israel wanted President Assad to lose, and it secretly gave a great deal of assistance to the terrorists. It was hoping to secure a permanent hold on the Golan, grab even another slice of Syria as a buffer for its illegal residents in Golan, all while seeing one of the region’s leaders it most dislikes eliminated. It worked closely in the effort with Saudi Arabia’s murderous Crown Prince, and America oversaw and encouraged all aspects of a dirty war to topple a legitimate government which has remained fairly popular with its people despite years of agonizing conflict and endless dishonest American claims about such matters as chemical weapons. Assad is seen as a defender of the rights of Syria’s diverse religious groups, including its many Christians. Putin is further supported from the outside by the rising colossus of China, one of the great miracle stories of our time. In the past, the two countries have not always been friends, and America, in the time of Nixon, actually worked at playing one off against the other. But that is no more. The American establishment’s intentions for China are too clear. It is virtually reneging on many old promises such as those around Taiwan being an integral part of China, it is treating China as an unwanted competitor, accusing it of every nefarious activity you can think of to impede its economic progress and demanding trade concessions as though China had been an unfair competitor rather than just a new, more successful one. America is now attacking in every way possible - from questioning motives and methods to trying to generate opposition by participants – China’s unprecedented and magnificent global enterprise, the Silk Road Project, a project dwarfing the great canals of the past and destined to bring new prosperity to all participants through trade. It hardly represents a positive attitude to oppose and impede it. America’s dependence on its gigantic military and security establishment represents a serious long-term weakness in many ways, even though it provides the very foundation of the American establishment’s new strategy for dominance. Empires, after all, while benefitting the privileged segments of a society, are a drag on most of its citizens, depriving them of many benefits, including the simple, important benefit of good and caring national government. America spends more than ten times as much as Russia on its military. China, compared to not many years ago, has increased its military spending greatly, but for a country with such a huge economy, second only to the United States and likely to overtake it before long, it still spends less than a quarter of what the United States does. And America does not even have the money to pay for its atrociously large military. It borrows the money, and who do you think pays the stream of interest payments for those massive borrowings? You’d be right if you said all of its ordinary, tax-paying citizens without privileges. They also are “on the hook” for the ultimate negative economic consequences of all this debt and borrowing. Russia’s democracy may be quite imperfect, but America’s - what it had of one, it never from the beginning identified itself actually as a democracy - has been transformed into plutocracy with an elaborate window-dressing simulation of democracy, an arrangement in which the state’s resources are committed to its privileged class and the advance of empire. And, as I’ve written many times, you can have a decent country or you can have an empire, but you cannot have both.